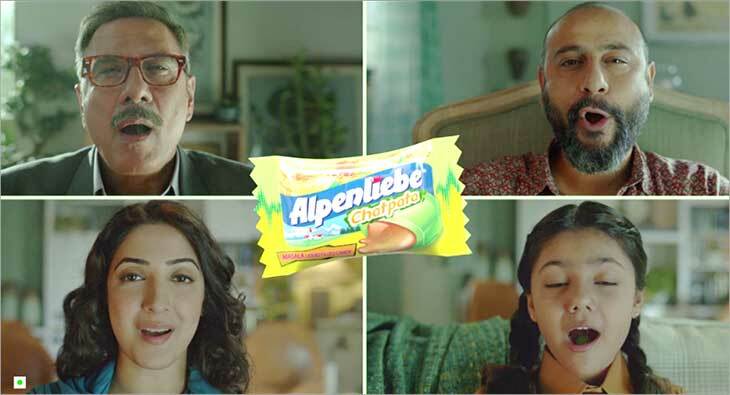 Perfetti Van Melle India has entered the tangy (Chatpata) fruit candy segment with the launch of ‘Alpenliebe Chatpata’. The launch of Alpenliebe Chatpata marks yet another innovation by Perfetti Van Melle, the market leader in the Indian confectionary market. Available at Re 1, the new variant has a slurpy chatpata mango shell and liquid filled core leading to a burst of tangy flavour. The new campaign for Alpenliebe Chatpata is being aired across leading TV and digital channels. The communication idea for Alpenliebe Chatpata builds on Alpenliebe’s strategy of communicating to the entire family, in line with the brand’s purpose of bringing hearts closer. Light-hearted banter, wit and a ‘chatpata’ twist add moments of laughter to the great Indian family’s everyday moments! Actor Boman Irani reprises his role as the family patriarch. In this story, he pops an Alpenliebe Chatpata, and then proceeds to nonchalantly pull his son’s leg after the latter tries to take credit for the granddaughter’s good grades.